Many eye doctors believe the optomap retinal exam is an important first step in every comprehensive examination. 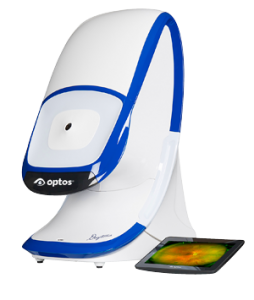 The optomap is the only technology that provides an ultra-widefield view of the retina. By combining your doctor’s expertise and the optomap wide-view images, you and your doctor can make informed decisions about your eye health and overall wellness. The Optomap retinal exam is now offered at 15 of our greater Cincinnati eye doctor offices. The video below explains a little more about the Optomap and why it is very important for not just your eye health, but general health as well.